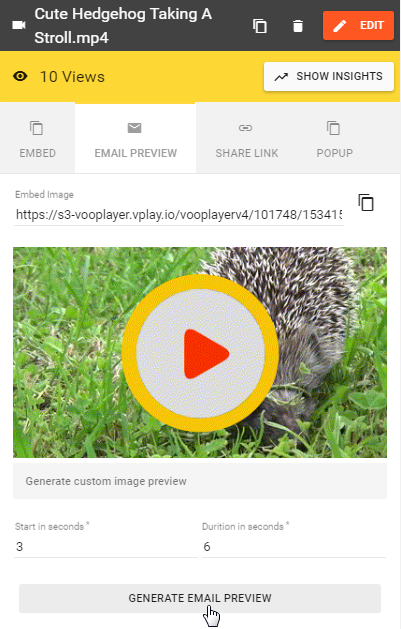 How to create email GIF? The animated GIFs are a great way to inject a little interest in the email. Marketers use it to improve their campaigns. With these animated pictures, you can give a preview of the most interesting part of your video to all your customers and draw their attention. 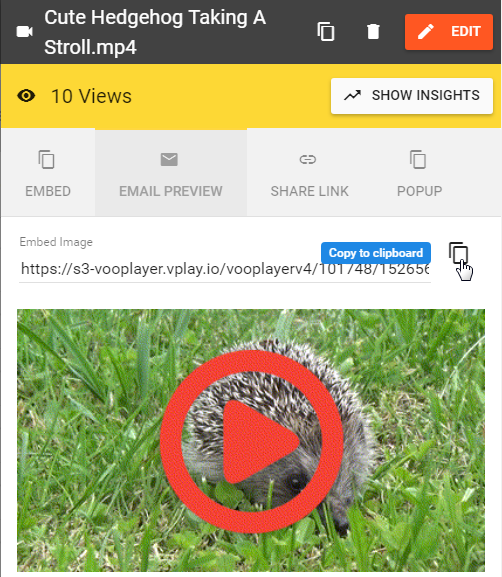 Email preview images are available only for videos uploaded to vooPlayer and these are automatically created. 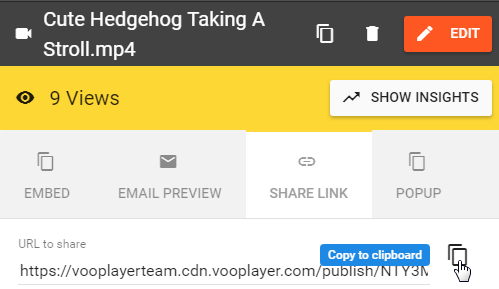 To view the current .GIF image for any specific video, click on the desired one and then choose the EMAIL PREVIEW tab. 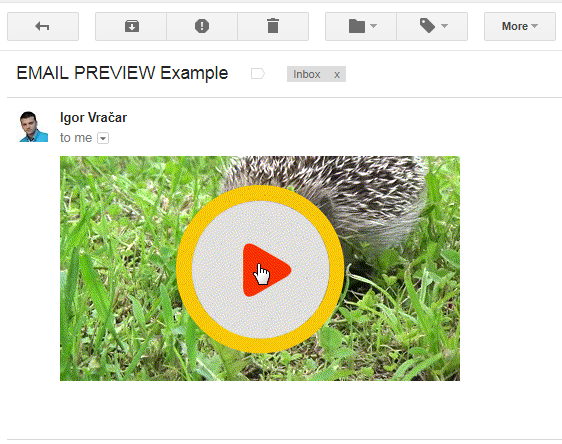 To generate a new email preview image, chose when it will start and how long it will last and click on the GENERATE EMAIL PREVIEW button. You can download this image by pasting its URL into your browser, then save option will be available on the right click. Furthermore, you can add this .GIF to your email and add the Share Link to it. When the viewer clicks on the GIF, he/she will be redirected to our Watch Page to view the video.